An imaginative and eye-catching surround can set off a photograph or a piece of art, and creating your own frames is not as difficult as it might seem at first. With comprehensive instructions on making mounts, cutting glass and assembling frames, you can create one of the many projects set out for you, or experiment with ideas of your own. Make a beautiful wood-stained frame to set off a print or painting, or a tortoiseshell frame to show off the photographs of a loved one. 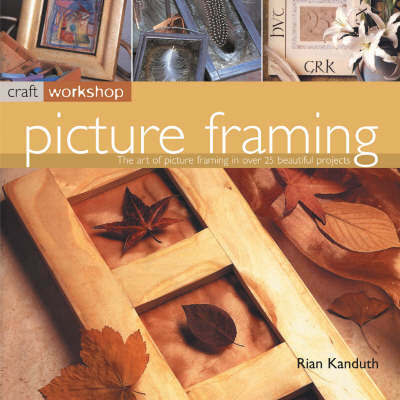 With plenty of advice and clear explanation of techniques, this book will help you to fill your home with artworks framed by your own creations.